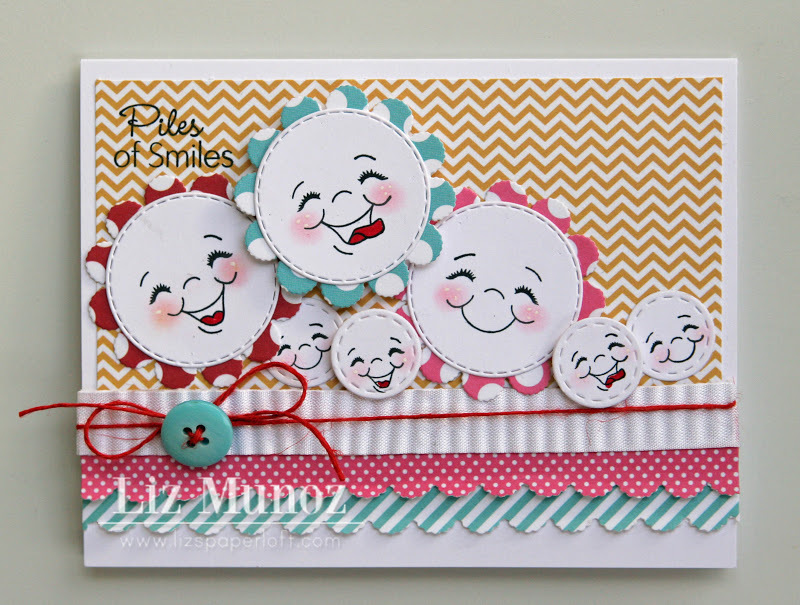 Liz's Paper Loft: Piles of Smiles ~ Card and Givaway! Happy Friday! Oh I'm soooo happy it's Friday and for me a three day weekend to boot! Which is perfect since next week My Creative Time is having a release! You are going to want to check it out! 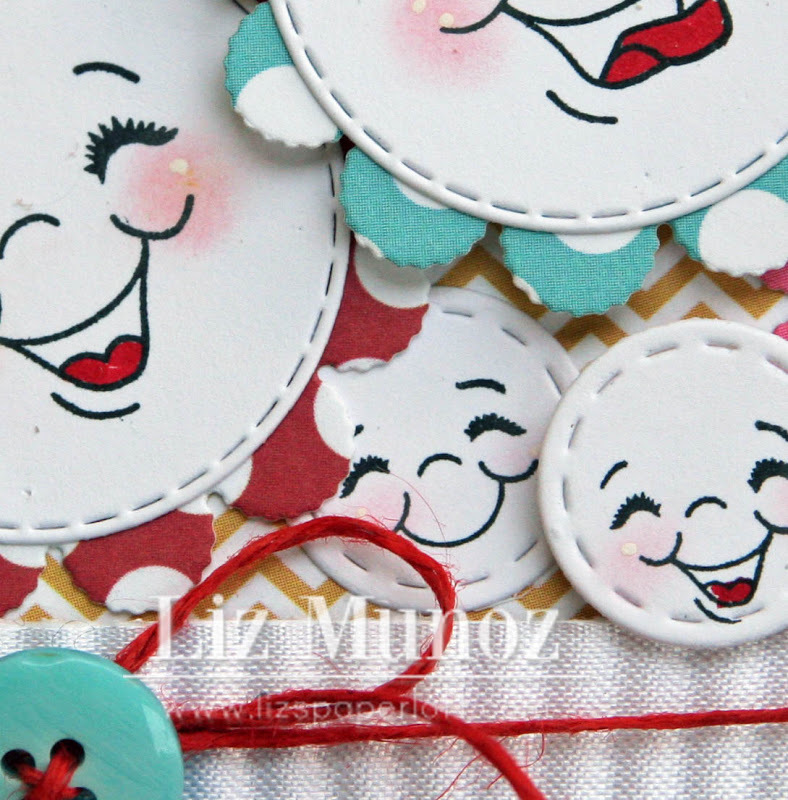 You're not going to believe the stamps and dies that Miss Emma has designed!!! Aren't those the SWEETEST faces!!! 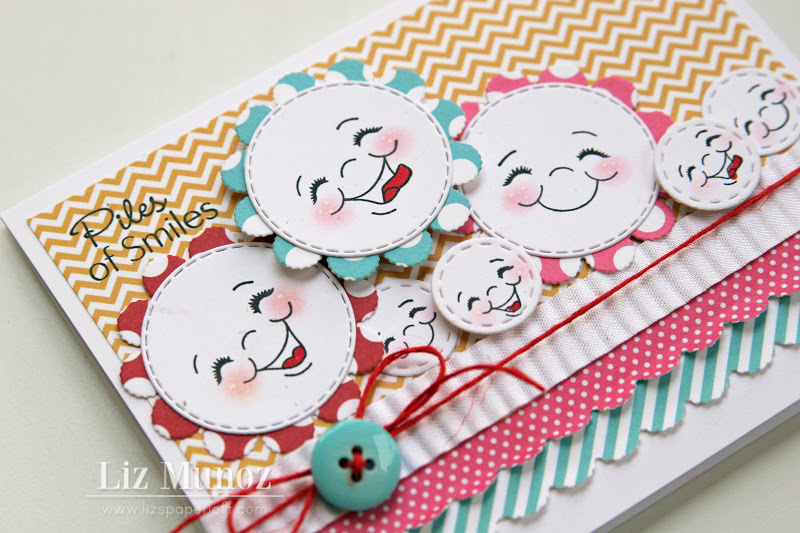 The sentiment stamp "piles of smiles" shows up much better in person. I used the technique from Katie of Crafting with Katie for the crimped seam binding ribbon. 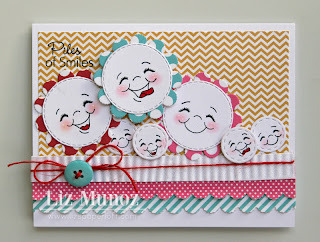 Also I'm going to enter this card in The Peachy Keen #43 Challenge ~ Anything Goes! I'm having a giveaway too! LIKE it then come back here and leave a comment letting me know you did! 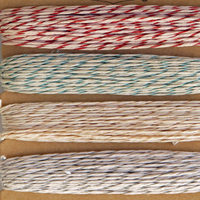 I will pick one winner for a 4 color pack of Limited Edition of Metallic Hemp! I will announce the winner on Monday, November 12! Have a wonderful weekend!!! I'll see you back on Monday with My Creative Time's Newest Release of Sneek Peaks!!! TFS and have a GREAT Friday!! Liz ~ TOOOOO CUTE!!! This put the BIGGEST smile on my face!!!! I LVOE the dies ~ of course and the sentiment but those faces ~ everything just ties in together PERFECTLY!!!!! Of course the paper hoarder in me ~ LOVE the paper too! Happy Friday sweet friend!!! This is really a great idea! Those faces would make anyone smile! I am already a FB fan! TFS! I like your faces and that twine is fabulous - I Liked your Facebook page today! have some of those peachy keen stamps too - I need to use them more - thanks for the inspiration! VERY cute, Liz! Thanks for playing along with us at Peachy Keen!! OMGosh! How too stinking cute are these! Love it. How cute is this! It definitely puts a smile on my face! Thanks for the shout out! I love the smiles! Very cute! I went and liked your page. Thanks for giving me some inspirational mojo for PK stamps! Oh Liz - this is just AMAZING!!! LOVE all those happy faces!!! So glad you joined us this week at Peachy Keen!!! This card could not get any cuter! Hands down...adorable! 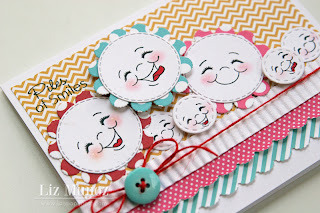 Those face are so stinken cute and just love, love your design! Amazing job my friend! I agree with you...crazy til the end of the year! Yikes!!! Such a cute card Liz!! It definitely put a smile on my face! :) I already "like" you on FB. Hi Liz, I love your blog! I am a frequent visitor. :) I "liked" you on facebook, too! this is tooo cute ! love all the happy faces and the papers you chose are so bright and cheery ! great job !! Thanks so much for participating in the Peachy Keen challenge this week!!! ACK! Just stop it! Cute overload! I love it and LOVEY the double scallop at the bottom. CUTE!!! Thanks for playing along with us at PeachyKeen you awesome chick you!